Aayush Sharma aces the debut game! Aayush Sharma's entry in Bollywood was closely watched. The actor, who made his debut with LoveYatri, wasn't let off the hook easily despite the notions surrounding his launch. During interviews leading up to the release, the newcomer was often asked if he had it easy because Salman Khan Films (SKF) launched him, something any debutant would aspire for. A big question mark was looming large on whether he would be accepted by the public. 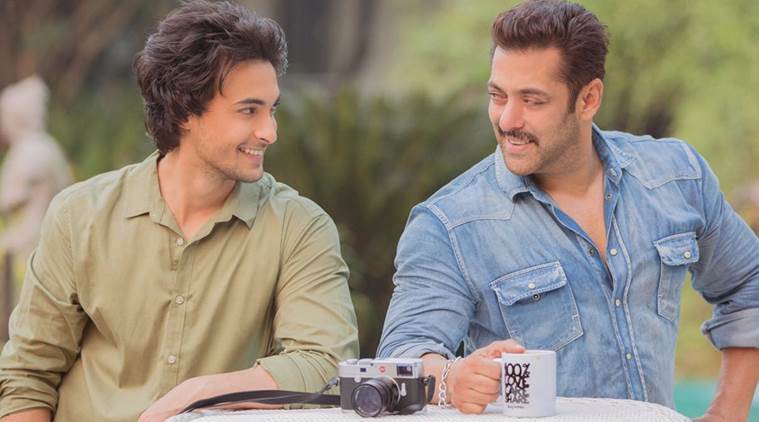 There was also doubt on whether Salman's loyal fans would extend their love and support to Aayush, which they usually keep reserved only for their favourite superstar. There was even the issue of the romantic drama not releasing in theatres in Indore where Salim Khan chose to stand up to exhibitors over their protest against the imposition of entertainment tax, over and above GST. This was a call that was made keeping in mind the larger interest of theatre owners and exhibitors. While the stand is worth applauding, the fact that the film didn't get the support of Dabangg Khan's fan clubs in Madhya Pradesh did hamper its overall box-office numbers. Its collections bore a loss nearing Rs 70 lakh due to the strike in Madhya Pradesh. However, despite the odds, the movie clocked Rs 2.18 cr on its opening day. It released on the same day as AndhaDhunand the Hollywood film Venom, but still managed to gets its due. What worked in LoveYatri's favour was not only the word-of-mouth but the 'feel-good' factor that gave the movie a universal acceptability. Cinegoers found a love story that they could relate to and Aayush's boy-next-door charming act won everyone's heart. While the opening box-office numbers (Rs 11 cr-plus in its first weekend) validates the audiences' love for the romantic musical, Aayush garnered praise because of his affable personality. His dancing skills have also become a talking point. It isn't easy for an all-debutant film to get love from the audience given that the lead pair Aayush and Warina Hussain and director Abhiraj K Minawala are all first-timers. The film's soundtrack, especially the Chogada song, is a rage due to the Navratri season. LoveYatri is the first movie with two debutants whose tracks made it to the Top 5 list of music charts across all platforms. The audio's success is a big contributor to the response that the movie is getting. At a time when newcomers are closely watched and critiqued, Aayush also got a fair amount of love from reviewers. He has emerged as a strong contender in the list of debutants that Bollywood has seen in the last few years and it seems he's here to stay!